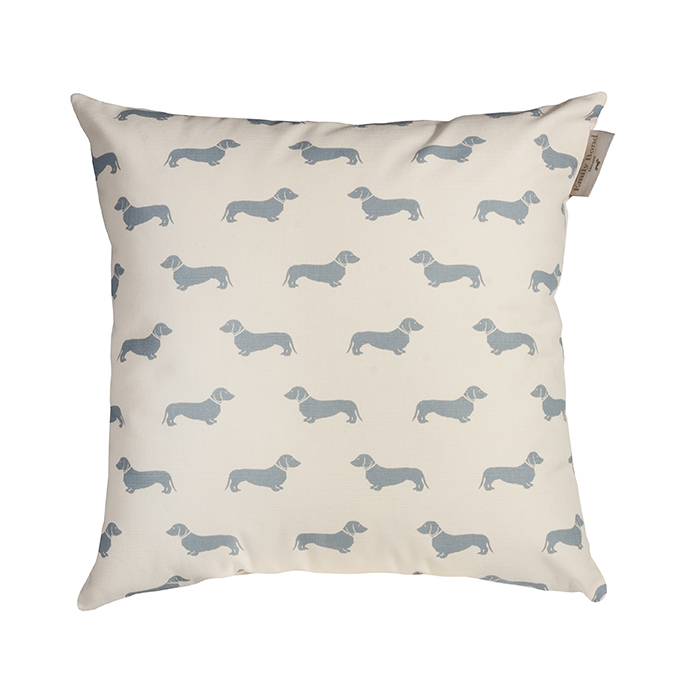 Emily Bond’s charming fabric designs make great cushions. This printed cushion features her dachshund motif in blue on cream. The pattern is the same on both the front and reverse. Made from cotton and comes with the inner pad.